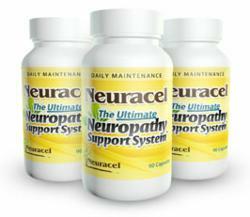 Neuracel, a leading medicinal company renowned for its herbal products, claims to have found a natural cure for peripheral neuropathy with the launch of its Ultimate neuropathy support system. More information regarding the product and its ingredients can be found on http://www.neuracel.com. A leading symptom of peripheral neuropathy, the problem of restless feet, may be put to an end through natural ways, such as Neuracel’s Ultimate Support System. While restless feet may be caused by a number of different underlying problems, the most commonly diagnosed cause is peripheral neuropathy. This is because peripheral neuropathy is characterized by damage to the peripheral nerves in the body and these nerves are part of a larger system, the peripheral nervous system. The peripheral nervous system is responsible for the smooth communication of messages from the brain to the central nervous system. However, once these nerves get damaged, there is hindrance in the communication of messages which eventually leads to an altered functionality of the nerves. With the launch of the Ultimate neuropathy support system, Neuracel aims to pounce on the recent interest in natural treatments for peripheral neuropathy. The product, designed after intense research carried out by the experts at the company, consists of 5 different herbs. Although there are several different medications widely used for treating peripheral neuropathy, most of these contain ingredients which are not natural. Hence, such treatments are considered dangerous for health. However, what makes the Ultimate neuropathy support system a standout product is the fact that it makes use of naturally found herbs. Moreover, the use of natural ways is more effective and could diminish or eliminate the symptoms associated with peripheral neuropathy within a short period of time. Firmly established as one of the leaders in medicinal innovation and research, Neuracel provides its products with a 100% satisfaction guarantee, which is a characteristic of the company's top quality safety standards. For further detailed information about the company and its products, visit http://www.neuracel.com/specialoffer.php. The range of products available by Neuracel can also be availed on http://www.neuracel.com.